Fill these Perfectly Plain Collection box favors with treats and you'll fill the room with smiles There's just something so special about opening up a box! And, with this great little box, from Fashioncraft's Perfectly Plain Collection, it's easy to see there's something exciting on the inside too. 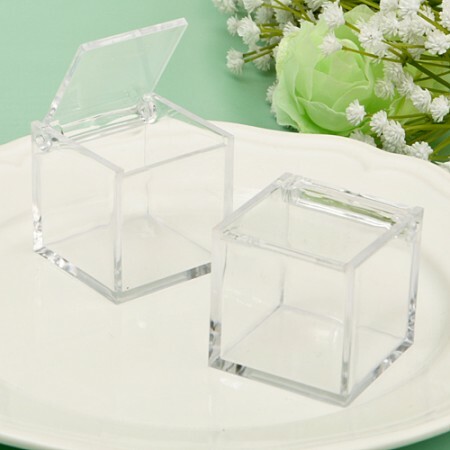 So whether you fill it with colorful candies, chocolates, or other treats and treasures of your choice, this cute cube makes the most of its inside and outside to give you - and your guests - a favor-full! And that's clearly something to be excited about!